This ceramic serving dish is shaped just like a pig and exactly the right size for chips, nuts, sweets, or whatever you like to "pig out" on. 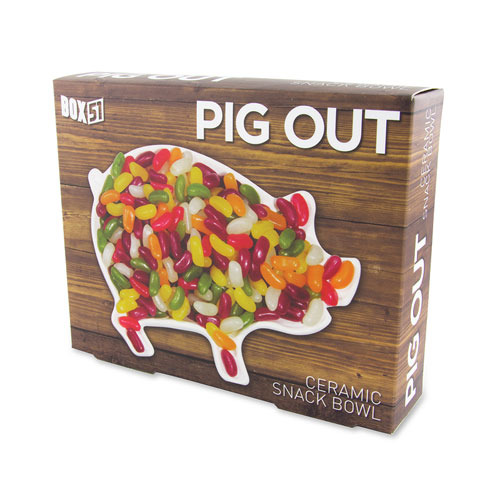 The Pig Out Ceramic Snack Bowl measures 9 1/4-inches in width, 7-inches in length, and 1-inch deep. Whether you're snacking in front of the TV or serving food to guests, this dish is a fun way to serve your food!